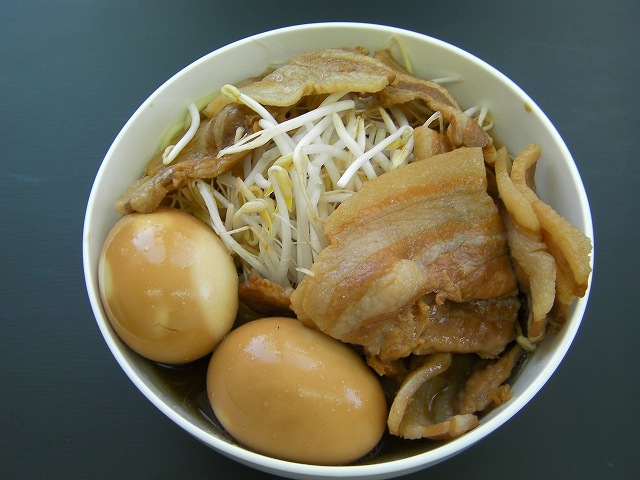 I heard that Ramen has been popular in the United States and Europe lately.Is it really the case ?Ramen has been popular in Japan.The most popular stores, and often has people lined up.I reproduced the taste of the popular shop in a house.Please try to cook ramen. Put the water in a pot and heat.When it starts to boil,add eggs of room temperature.Turn on the heat to medium and boil for 7 minutes peel the shell of an egg. 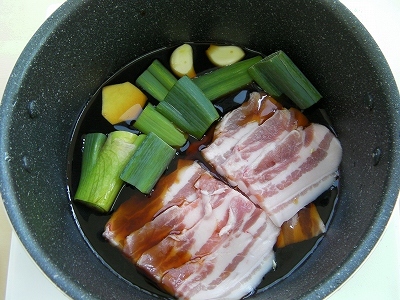 Put the pork,green part of an leek,ginger,garlic,soy sauce,sake,sugar.Leave it over high till it starts boiling.Then turn to low and boil for 10 minutes. Stop heating, add eggs(step1),leave for 1 hours. An hour later,pour in 150ml soy sauce flavor(step3). 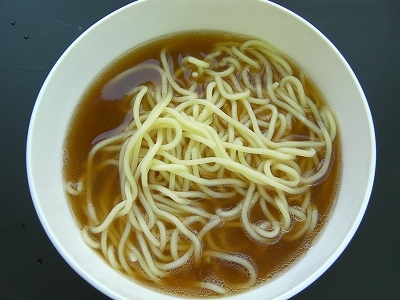 Boil ramen(noodle),at the same time boil pork bone broth(Tonkotsu soup). 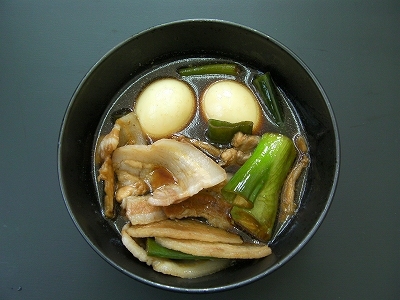 (see “How to make pork bone broth” page. )⇒click here. 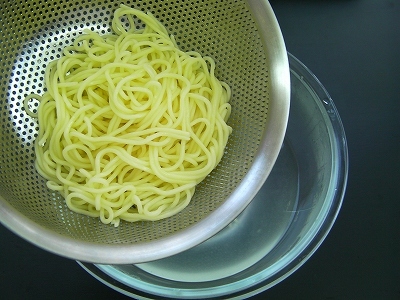 Drain the boiling water,rince by in running water and place on a strainer to drain the water. 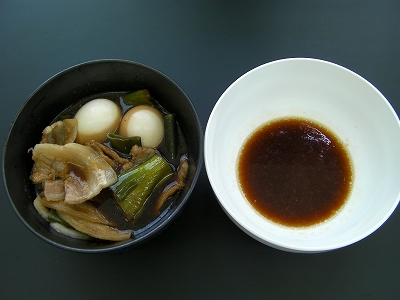 Pour in boiled 200ml pork bone broth(Tonkotsu soup). 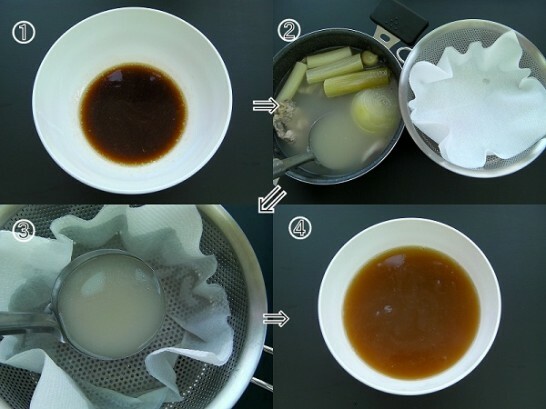 (see “How to make pork bone broth” page. )⇒click here. 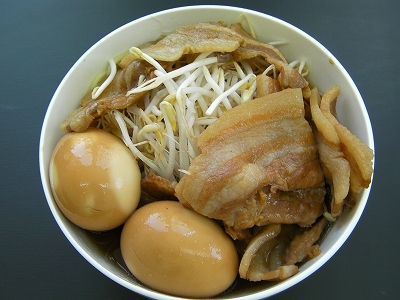 Add the roasted pork fillethe and boiled eggs and bean sprouts. The key to a good Pork ramen is cooking speed.